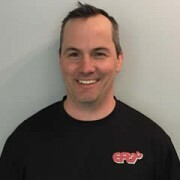 David Brien is the Director of Physiotherapy and Senior Therapist at Back on Track as well as the Senior VP of Novo Healthnet’s Eastern Division. David has been a physiotherapist with Back on Track since 1999. He has been responsible for patient care, marketing strategies, the Golf Kinetics program, and writing a regular Golf Healthy article for Flagstick magazine. As Director of Physiotherapy for Back on Track David supervises and educates all team therapists, physiotherapy aids, and kinesiologists. He also oversees the day to day operation of the 7 clinics and assumes responsibility for maintaining the highest level of patient care. David grew up in Saint John, NB and graduated with a B.Sc (Honors Biology) from UNB in Fredericton. He went on to receive his B.Sc.PT (Honours) from Dalhousie University in Halifax, NS. 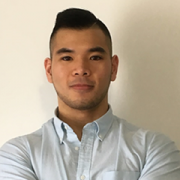 David has a special interest in orthopaedic manual therapy and has achieved his post-graduate diploma in manual therapy from the orthopaedic division of the Canadian Physiotherapy Association. David also has an interest in Golf and has completed the Golf Kinetics program, which enables him to perform biomechanical swing analysis. The purpose of the program is to design individualized exercise programs for golfer’s to optimize performance and prevent golf related injuries. David is interested in running analysis and prevention/treatment of running related injuries. 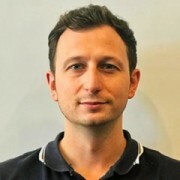 He has served as staff physiotherapist for the Canadian National Heptathalon/Decathalon teams. 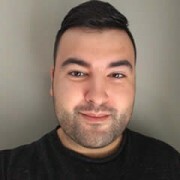 Andrew graduated with a Master’s degree in Physical Therapy from Queen’s University Canada after completing his Bachelor of Science in Human Kinetics at the University of Ottawa. He returns to Ottawa after working as a Physiotherapist in Australia. Andrew’s uses a variety of “hands-on” and evidence-based manual therapy approaches, supplemented by a strong background in neuromuscular and exercise-based rehabilitation. In addition to his focus on holistic, movement-based rehabilitation, Andrew has also developed a special interest in the shoulder complex, knee pathologies and any issue regarding the nervous and myofascial system including concussion management. As a physiotherapist, Andrew has a special interest in working with active individuals ranging from recreational to professional-level athletes. Andrew has worked with athletes and sports teams participating in a wide range of sports and had success not only with injury recovery and prevention, but in helping to improve any movement-related dysfunctions, which may be leading to pain or poor performance. He was regularly called upon to provide group training and information sessions to athletes and coaching staff on a range of topics. Outside of Physiotherapy, Andrew spends his time training and competing in individual and team sports. He is an avid competitive soccer player having competed in Canada, England and Australia. In addition to soccer, he spends his time: mountain biking, rock climbing, surfing, hockey, running as well as strength and conditioning training. Tri completed his undergraduate degree in BSc. Human Kinetics at the University of Ottawa and continued on to complete his Masters of Physical Therapy at the University of Western Ontario. During his time in the BSc. HK program he developed a passion for strength training and other fitness domains and continues strive to learn more. His approach to treatment incorporates best practices from physical therapy and a variety of other strength and conditioning disciplines that he gained through experience. In addition to his manual therapy skills gained at Western MPT program, his treatment emphasises movement re-education, functional strength and return/maintenance of well-being. In his free time Tri enjoys playing volleyball, bouldering, snowboarding and especially weight lifting. Currently Tri is certified in Soft Tissue Release (STR) and Manual Therapy Level 1 but is planning on progressing towards completing his FCAMPT credential. 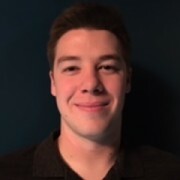 He continues to strive to further his education and is currently registered for Dry Needling – through Kinetacore Aug/17, and will be adding more certifications in the near future. Born and raised in Newfoundland, Matthew completed his bachelor’s degree in Kinesiology at Memorial University of Newfoundland. 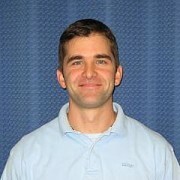 He is also a Certified Exercise Physiologist (CEP) through The Canadian Society of Exercise Physiology (CSEP). Matthew enjoys working with a broad range of clientele and brings his high energy and enthusiasm to every session. He has a lifelong passion for sport and has worked closely with his university soccer and wrestling teams as both a strength and conditioning coach and athletic therapist. Matthew has a very strong passion for helping people develop and maintain, or even return to a healthy and active lifestyle. Morgan graduated April 2017 from Algonquin College Massage Therapy program before joining the Back on Track team. He is a former competitive swimmer of 10 years, most notably competing at 2 Canadian Age Group Championships and 2 Eastern Canadian Championship. Training at a high level for a long period of time has shown him the importance of taking care of his body. Morgan has now been coaching for 3 years using his motivation and experience from his career as an athlete. 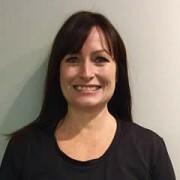 Morgan has experience treating clients in a wide range of settings such as hospitals and pools, but takes special interest in treating athletes of all ages and levels. In the summer months you can find Morgan water skiing, kayaking, hiking and in the pool during the winter months. Dale completed his Massage Therapy Diploma in 2006 at Sir Sandford Fleming College. He has continued to pursue his passion for physical fitness by attaining his FIS certification and is a certified TRX instructor. Incorporating practical strength based exercise with Massage Therapy, Dale has been able to pair both concepts to create positive outcomes for his clients. He has spent several years working in Massage Therapy clinics but has had extensive experience in client based On-site massage treatment. Post operative treatment and critical care have been a main stay for his treatment focus over the years. Customizing treatments to assist clients in all environments from long term hospital recovery to office chair massage he enjoys working in all types of settings. 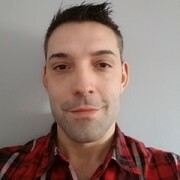 Dale is registered with the College of Massage Therapists of Ontario and will continue to challenge himself by advancing his skills as a RMT with the goal of improved health and wellness. 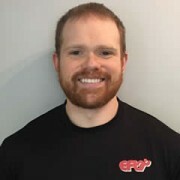 Matt completed his Bachelor of Physical Education degree at Brock University in St.Catharines Ontario and has been an active member of the fitness industry in the Ottawa area even since. With the completion of annual continuing education credits through both The American Council of Exercise and Can Fit Pro, Matt has added many layers to his fitness knowledge base. Over the years, Matt has completed workshops including boxing, balance training as well as speed and agility training. He has had the opportunity to work with young aspiring athletes heading towards pro careers, weekend warriors looking to attain specific milestones as well as those in the senior community dealing with specific physical limitations. In his off time, Matt is an avid golfer, hockey player, outdoor enthusiast and a passionate fan of both the Senators and Ottawa Redblacks. Through his participation in various sporting activities and knowledge of the ever-changing fitness industry, Matt has been able to create fun and effective fitness programs for those of all abilities. Registered with the CMTO in 2015, I believe that every client deserves individualized treatment and that there is no one-size fits all approach. I am currently a student in my 2nd year of 4 at the Canadian Academy of Osteopathy; learning Classical Osteopathy. I use a variety of massage and osteopathic techniques in order to get specific results, I have been very lucky to have great mentors along the way that have helped mold me into a results based therapist. I have a background in Brazilian Jiu-Jitsu and like to keep active in the gym. I look forward working with you to meet your specific treatment needs. – Treated the rookie team and current team pre and post games. – Palliative care setting, treated patients with chronic conditions like Parkinson’s, Cancer. Osteopathic student at the Canadian Academy of Osteopathy (CAO) in Hamilton. Audrey graduated from McGill University with a Masters of Science Applied to Occupational Therapy. Prior to this, she obtained a BSc in psychology from Concordia University (Montreal, Qc). 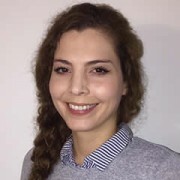 She has clinical experience in addictions rehabilitation, pediatric rehabilitation following orthopedic or neurological injury, return to work rehabilitation following musculoskeletal injuries, and office ergonomics. She particularly enjoys assisting clients to develop the personal skills and social resources they need to maintain a healthy lifestyle, cope with daily stressors and participate in the activities that are meaningful to them. Audrey can provide services in English or French. She is solution-focused and will work with you in a partnership to reduce environmental barriers and build the physical, emotional, social and cognitive skills needed to maximize independence at home, at work/school, or in your leisure pursuits.